Provides AF functionality with manual focus lenses. 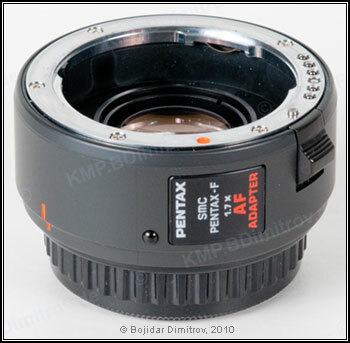 Note that the Pentax literature shows a wrong optical diagram for this teleconverter. Conrad Stenftenagel sent me the correct one after disassembling and then wrongly assembling the teleconverter (having followed the official Pentax diagram).